Britannia Office Systems Ltd | Photocopiers. Office Furniture. Fax, Printers & Plotters. Sales & Services. Contact. We Supply New Machines & Have a large selection Of Reconditioned too! 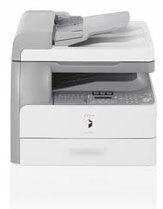 "We supply photocopiers & office solutions"
Need an office system today? We buy your used photocopiers & office furniture we give the best price and cash for your unwanted office systems and photocopiers.